The show mainly intertwines the plots of several Brothers Grimm fairy tales, with main characters are taken from “Little Red Riding Hood,” “Jack and the Beanstalk” and “Cinderella,” among others. The musical is based on a book by James Lapine and includes lyrics by Stephen Sondheim. It debuted in San Diego at the Old Globe Theatre in 1986, and premiered on Broadway on November 5, 1987. 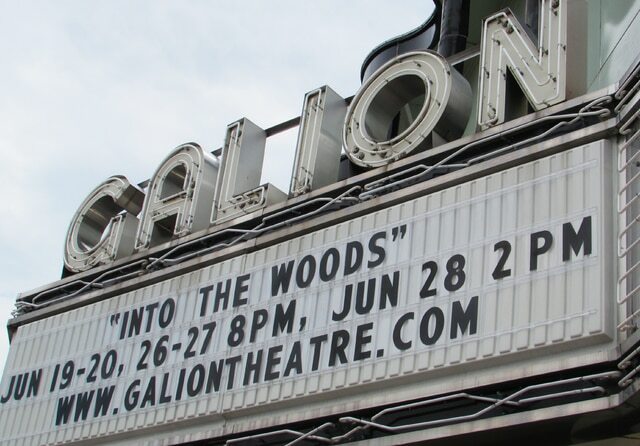 “Into the Woods” won several Tony Awards, including Best Score, Best Book and Best Actress in a Musical (Joanna Gleason). This delightful show opens at GCT June 19 at 8 p.m. and runs June 20, 26, 27 at 8 p.m., and June 28 at 2 p.m. Tickets are $15. For reservations call 419-468-2662. The theatre is located at 127 Harding Way West, Galion. Also like us on Facebook for increased information.